Gujarat Secondary Service Selection Board (GSSSB), Gandhinagar has depicted vacancy notifications as GSSSB Assistant Tribal Development Officer Recruitment 2016. This application is invites from the talented and motivated job seekers for filling up 130 Assistant Adijati Vikas Adhikari Class-3. Candidates who are willing for this post they need to submit the application form before the last date of application form which is given below. All the candidates before apply for GSSSB Recruitment 2016 requested to get in touch with the official advertisement delivered on gsssb.gujarat.gov.in. To get more details candidates GSSSB Assistant Tribal Development Officer Recruitment 2016 such as age limit, educational qualification, application process, pay scale, and more details are given below. 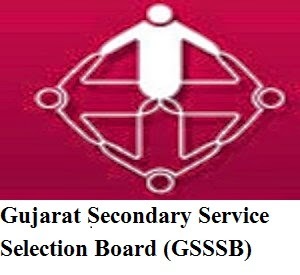 About Gujarat Secondary Service Selection Board: GSSSB is a constitutional body who is responsible for recruiting, forming rules and regulations, all the scheduling of the events and the actions that have to take at any instance of time while the recruitment of eligible applicants for Armed forces. GSSSB is responsible for the arrangement and regulation of Secondary Service Selection exams all across Gujarat. Selection Process: Selection will be based on OMR Exam. Go to “Apply Online” after that click “Apply Now” with the interest post. Fill up your details & upload your recent passport size photograph and signature in specified size if required. Take a printout of submitted application form for further use.